At least 100 security forces have been killed in the ongoing struggle to push the Taliban from the embattled Afghan city of Ghazni, a government minister said Monday, four days after the fighting began. The announcement came as fresh reinforcements were deployed to the provincial capital and air strikes targeted Taliban positions, according to defence minister Tariq Shah Bahrami. “About 100 security forces have lost their lives and between 20 and 30 civilians have been killed,” Bahrami told a press conference in Kabul. “194 enemy fighters, including 12 of their key commanders, have also been killed,” he added. At least 95 Taliban combatants were killed in the air strikes, Bahrami said. Communication networks remained mostly down, and officials have been reticent to speak about the situation in the city, making any information difficult to verify. 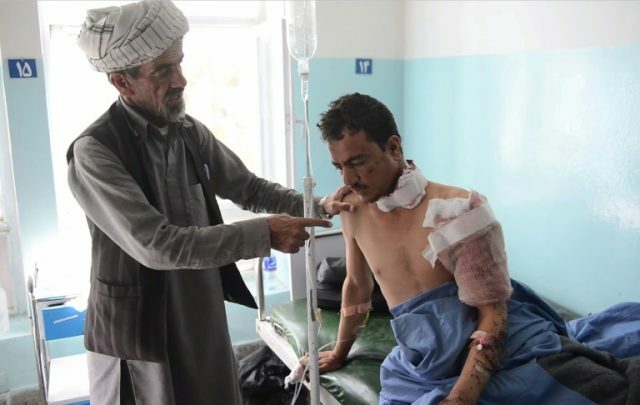 The onslaught on Ghazni is the latest attempt by the Taliban to overrun an urban centre, and comes as pressure increases on the insurgents to begin peace talks with the government to end the nearly 17-year-old war. It is also the largest tactical operation launched by the Taliban since an unprecedented truce in June brought fighting between security forces and the Taliban to a temporary pause, providing war-weary Afghans some welcome relief.